The first scheme of its kind worldwide, the Domestic Renewable Health Incentive, or RHI, provides long term financial support to households using renewable energy for heating and hot water systems. You are able to claim RHI whether you are on the main gas grid or not and there are a range of products, including Air Source Heat Pumps and Biomass Boilers, which allow you to benefit. If you currently have an oil, LPG or electric based heating and hot water system, you have the most potential to save on fuel bills by using a renewable energy system, supplemented by the RHI payments. BSW are able to give you good, honest advice about suitable renewable energy systems for your house and indicate how much you may receive via the Domestic RHI. The RHI payments are paid on a quarterly basis over a 7 year period, providing you with a regular income in this time frame. The amount you are paid varies based on a number of different factors – efficiency of your property, the type of system you have and the output of it. The amount you receive is individual to you and based upon the heat load figures shown on your Energy Performance Certificate (EPC). To get the most out of a renewable energy system, your home should be as energy efficient as possible. This means a house with good loft and cavity insulation is best placed to reap the maximum benefit from renewable energy heating. A well-insulated property is also beneficial as you will have to have an EPC carried out in order to be eligible for any RHI payments. All work must be carried out by a contractor certified by the Microgeneration Certification Scheme (MCS). 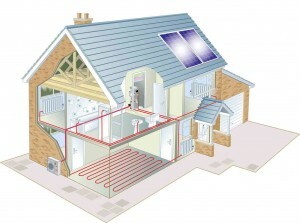 The systems installed must also be approved by the MCS in order for the installation to be RHI eligible. At BSW we are both qualified by and use MCS approved products, enabling us to design and install renewable energy systems that you can claim RHI from. If you would like more information on RHI or to find out about Air Source Heat Pumps and Biomass Boilers, please do not hesitate to contact us. As a friendly, family-run business we take pride in providing honest advice from our knowledgeable team. Whether you would like to learn more about a certain product or arrange for someone to visit you, at BSW we always put your needs first. You can get in touch with us by telephone on 01444 831138 or by using the contact form below or on the sidebar to the right. We look forward to hearing from you and helping you in any way we can.